The Switzerland national flag was adopted on December 12, 1889. The red field with a centered white cross was adapted from the flag of Schwyz, one of the original three cantons (regions) of the country. 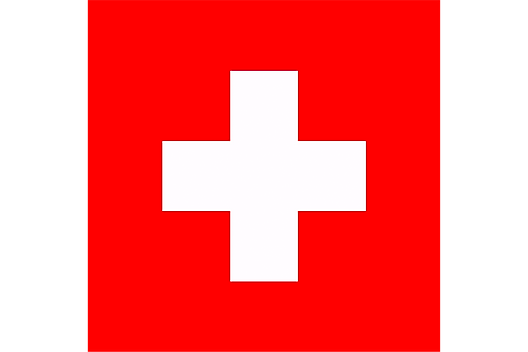 It reflects a common flag style from medieval times (square field with cross), and today, only the recognized national flags of Switzerland and Vatican City are perfect squares. 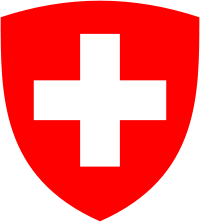 Switzerland's coat of arms is an adaptation of the national flag onto a shield.